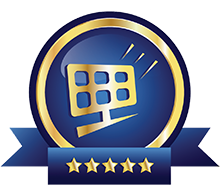 There are two warranties for solar panels; Performance and Equipment. 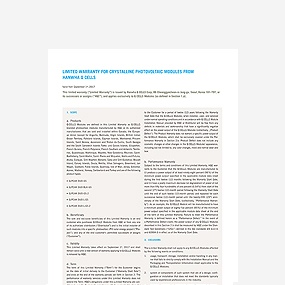 The Performance Warranty typically guarantees 90% production at 10 years and 80% at 25 years. An equipment warranty will typically guarantee 10-12 years without failing. With its newly reinforced frame design, LG NeON® 2 modules are designed to endure a front load up to 6000 Pa, and a rear load up to 5400 Pa.
LG NeON® 2 A5 has an enhanced performance warranty. The annual degradation has fallen from -0.6%/yr to -0.55%/yr. LG has also extended the warranty of the LG NeON® 2 for an additional 2 years. Q CELLS high quality modules are covered by a 12 year product warranty and a 25 year linear performance guarantee². In general, a solar system with Q CELLS high quality modules is trouble-free and only need maintenance at a very low level. However, should any problems arise in the operation of your system you can simply contact your local authorized installer. 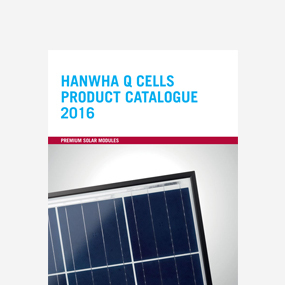 ² In accordance with the warranty terms of the Hanwha Q CELLS distribution organization in your region or country. ©2018 A2Z Energy | All Rights Reserved.